I don't know where you're all at with this whirlwind holiday season, but it is SLOW going around here getting my tree and house decorated with my busy 1.5 year old "helper!" It's coming together though and I can't wait to show you what I've got going. I just dreamed up my holiday tablescape, and ordered the fabric that I'll drape the table with ... more on that soon I promise! 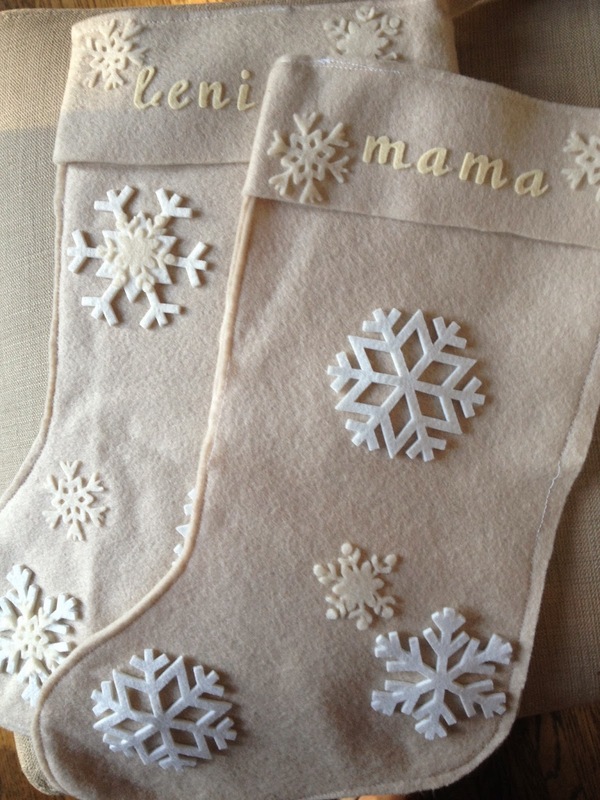 I tend to switch Christmas color schemes from year to year, so I love that these neutral ivory stockings sort of go with anything and everything. This year it's a black+white+green theme that I shared inspiration for in my last post, and I'll make sure you see plenty of pics just as soon as I'm finished decking it all out! 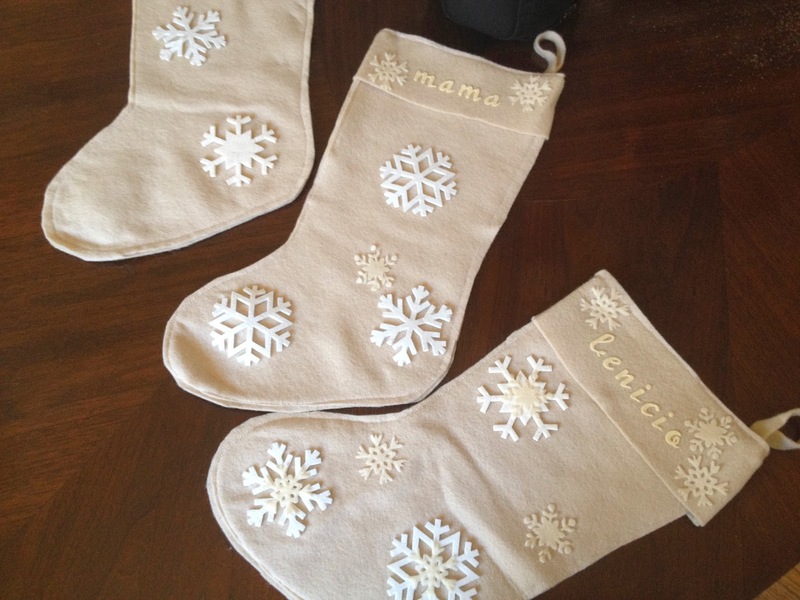 felt: I thought about making the stockings from the polyester felt that you can buy inexpensively by the yard at any fabric store (the small sheets of felt from arts and crafts stores probably won't be large enough to make a stocking that would hold all the requisite goodies) BUT I decided instead on wool felt because it felt to much nicer and thicker and I thought it would wear much better over time. (And obviously natural fabrics are always so much more luxe than synthetics.) This ebay seller has a large variety of colors at one of the best prices I found. 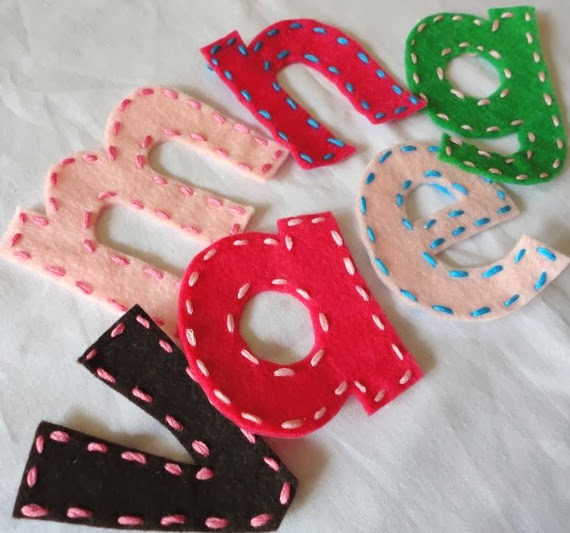 OnlineFabricStore also has a good selection, and what I love about them is that they will send you samples of ANY fabric for $1 apiece, shipping always free. 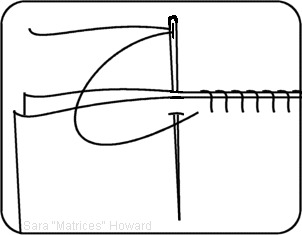 -If you don't have a sewing machine you could also sew by hand using embroidery thread and a simple whip stitch. 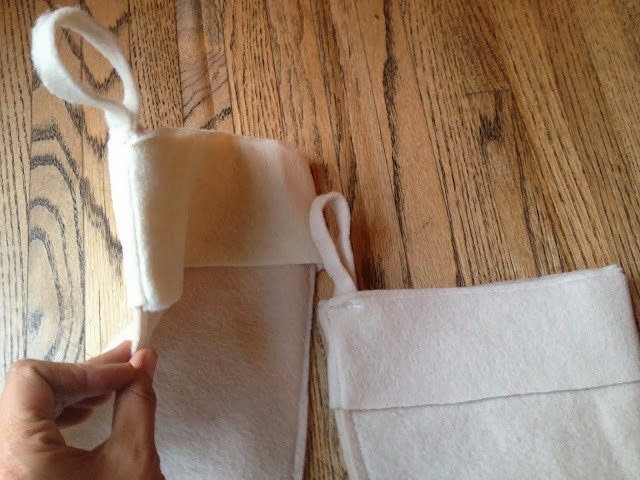 -Cut a 2-3" fat strip of felt for the top cuff that will reach around the circumference of the top opening, sew the ends together to create a continuous loop, and then sew that around the top of the stocking. 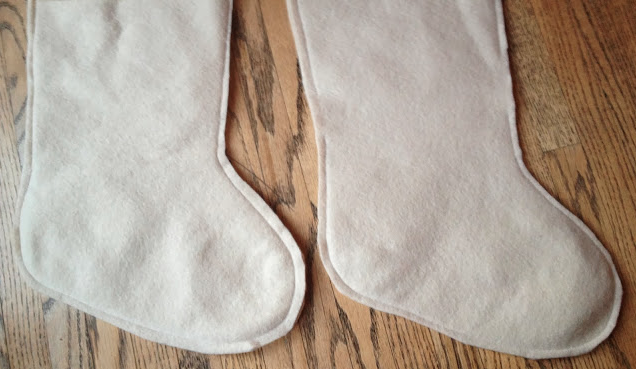 All edges are raw scissor-cut edges ... no hemming necessary. 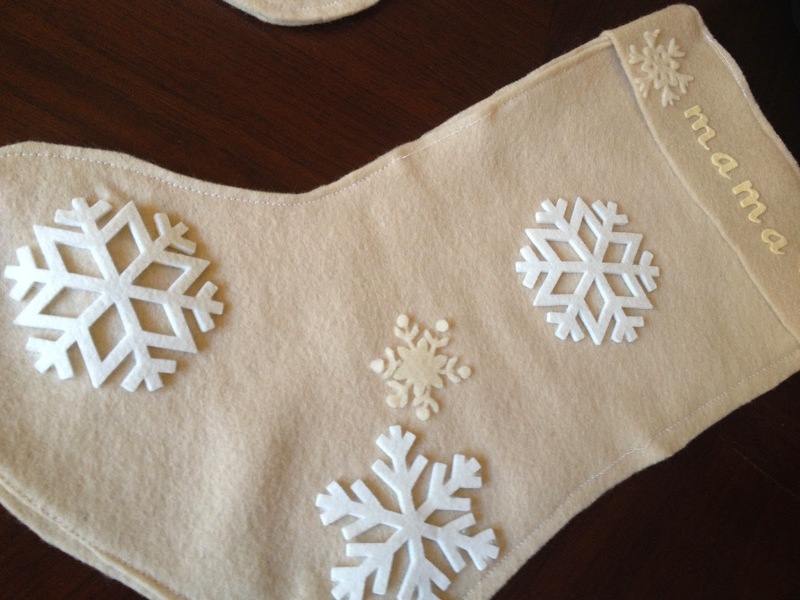 -Cut a 5-6" long 1/2" wide strip of felt for the hanging loop, and sew it inside the top corner of your stocking. 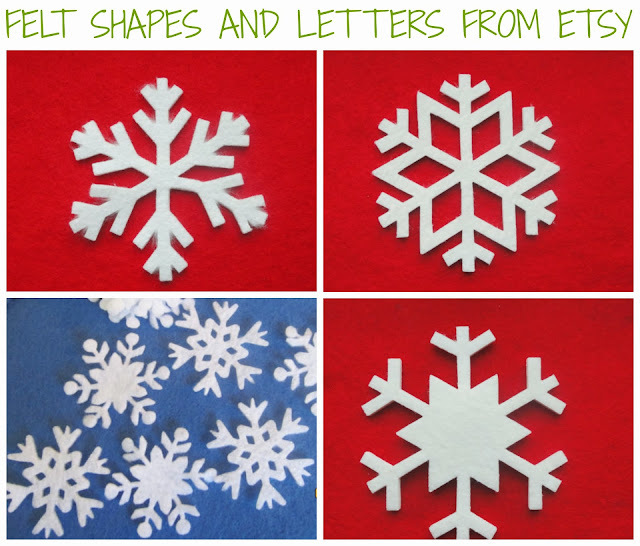 felt snowflakes for a bit of added detail and depth. The stockings were a big hit last year and we will love them for years to come, I know. It's really sweet knowing that as my son gets older year by year he will come to treasure and anticipate all these little traditions we're starting together now, when he's such a wee little one. 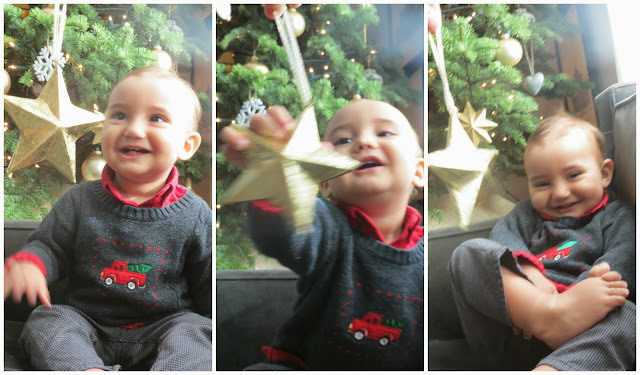 Here's my little Benicio in front of last year's tree ... and of course it's just incredible to me how this year he suddenly has a full head of hair, all of his teeth, and is walking, talking, "singing" Christmas songs, and (lovingly) breaking ornaments! Hope you're well and enjoying this moment!